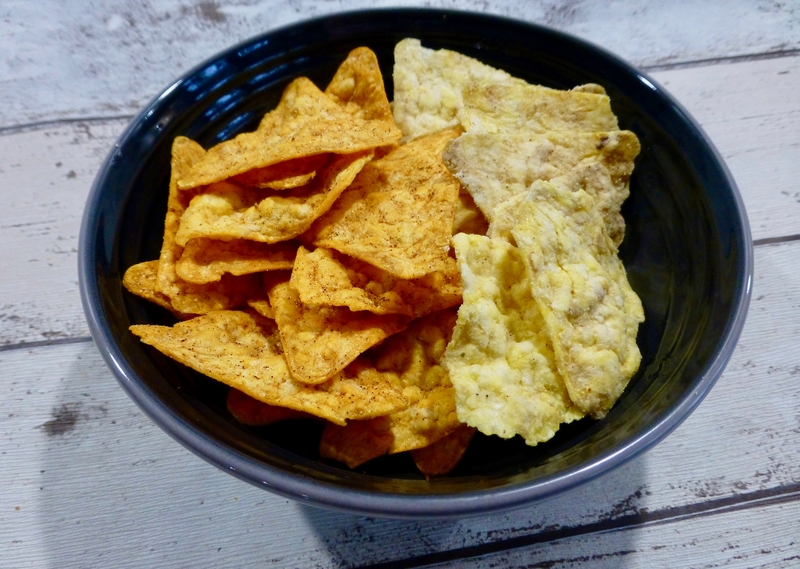 We are back to snacking today, I love a good snack, especially on the go and am always up for trying something new. Based in America, Our Little Rebellion Corners have just arrived on UK soil and are being hailed as the new shape of popcorn. Currently in the UK they have kicked things off with 4 different flavours – Howlin’ Jalapeño Cheddar*, Seaside Sea Salt*, Smashin’ Sweet Chilli* and Sweetly Salted*. Currently stocked on Ocado and at WholeFoods health store they come in at £1.80 per 85g bag, they are also sold in 23g bags which is what I have here. Double pressed for extra crunchiness, these Corners have never seen a frier nor a preservative, and are veggie friendly and gluten free. A stark difference in colour with these two there will be no mixing these up. Getting stuck in my oh my did the jalapeño not only have a bite to it, it also had a long burn afterwards. The cheesiness was strong and held its own with the spiciness from the jalapeño, I am not sure you could tell it was cheddar per say but together this was a winning combo and very addictive. In comparison the Smashin’ Sweet Chilli wasn’t that smashin’ and were more of a muted flavour. They had more of a crunch but they did not have the same wow factor. Onto more traditional of flavours, I was back in my crisp and popcorn comfort zone. Sweetly Salted definitely reminded me the most of popcorn as this is the flavour I always choose, and these Corners really tasted like popcorn, it was most strange. Deliciously sweet with a hint of salt, top that with crunchiness it was a complete winner for me. Seaside Sea Salt was as expected, salty and crunchy. Mixing these with the Sweetly Salted was also a smart and tasty move. On the whole these Our Little Rebellion Corners are certainly easier and more appealing to eat than popcorn where you just shove it in and hope for the best. 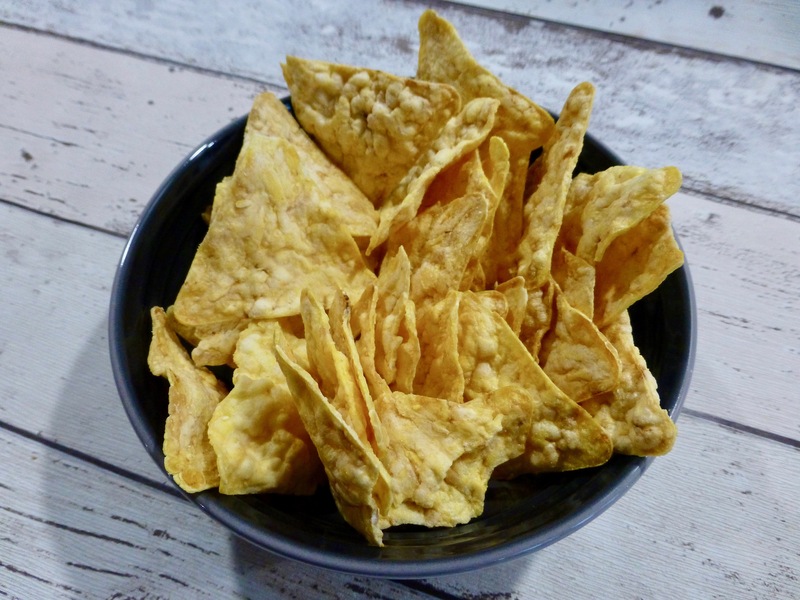 My favourite flavours are of course Sweetly Salted and Howlin’ Jalapeño Cheddar, I have to admit the Howlin’ Jalapeño Cheddar takes the crown as my number 1. Being pretty sizeable you don’t get that many in a bag so before you know it you have scoffed the lot. 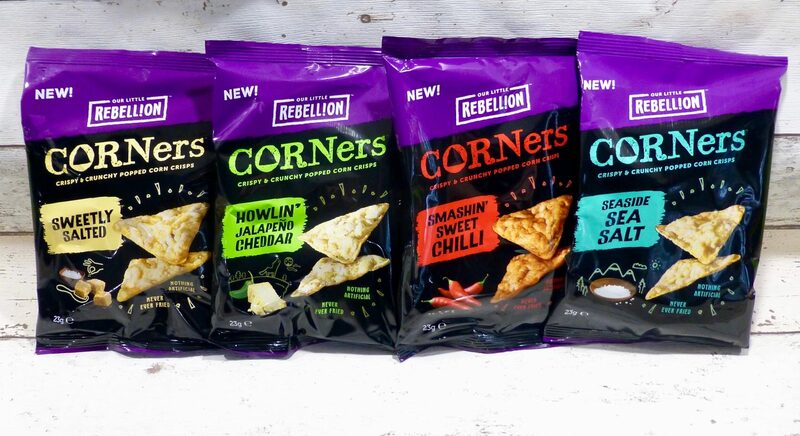 That being said I am glad these Our Little Rebellion Corners have made their way over here, I will happily make these a staple in my snacking (hello next Ocado shop) and are certainly worth a try.